Hey everyone we are nearing the end of this Disney series which is a bitter sweet experience for me. Bitter because obviously I want to keep producing posts that are solely Disney related but sweet because it means I can post different posts for you guys. So for today’s blog post I am going to be sharing with you various youtubers who either solely upload videos relating to Disney or have done in the past. If you are like me and are obsessed with anything Disney related then I am sure you would have probably watched a number of Disney related Vlogs or videos. I really love the concept of a vlog as it makes you feel like you are actually there. I have discovered some amazing Disney vloggers who I will continue to watch and re-watch all the time. The first youtuber I’m going to be sharing with you is Adam Ruck who is a youtuber that posts videos mostly related to Disney. I especially like his Disney vlogs however I do enjoy his other videos too. He has great enthusiasm and I’d say I find the vlogs like a show as he really makes each and everyone entertaining. I definitely think he should be recognised more and should have way more subscribers. He’s also from Texas which means he has a pretty cool accent make sure to go & check Adam out!! The second youtuber I’m going to introduce you two is the lovely Em. First of all Em is a really pretty girl who loves Disney just as much as me if not even more. I really liked Em’s Disney vlogs as they were so jammed pack I love how she included her family in them and she just seemed like a really down to earth girl. What I also like is that she’s herself on the vlogs she’s not trying to be something she’s not which some youtubers do. So after watching a few of her vlogs I just had to subscribe to her and you should too! Faith only started her Youtube about a month ago however she’s already doing really well on it. I can’t quite remember how I discovered her vlogs but I’m so happy that I did. They’re quite long ones which are great for a Sunday afternoon or while you’re cooking. I also really liked seeing the relationship that Faith has with her family especially with her dad it was just such a lovely thing to see. Faith’s also from New York so she has a cool accent which I’d love to master (no really). This particular youtube channel is run by the lovely Jen who also has many other youtube channels as well as a blog. However recently Jen has decided to combine all of her channels and post just on her main one which will include aspects from these other channels which you can find here. Although Jen won’t be uploading any videos to this channel any more you can still go back and watch all of the videos that she has posted. I really like her Disney vlogs in particular because it shows that people who are older can have fun and enjoy the Disney parks too. Jen’s vlogs provide a different perspective of going to Disney world which I like as it makes them more interesting. The second to last vloggers that I am going to introduce you two are this lovely family who consist of Phil, Emma and Ben. They have many vlogs which are taken in Disney World each time they go they usually stay in a different hotel which I like as it gives you the opportunity as the viewer to see what each one is like. I also like that they go at different times of the year such as Christmas and New Years. Their vlogs are always full of everything Disney whether it’s the food, the rides or the music which is included in the vlogs. I really like watching their vlogs as they seem like such a down to earth family so I’m happy that I discovered them. The final Disney youtubers that I am going to sharing with you today are these two lovely ladies Megan and Rhiannon who are sisters from New Zealand. As you can probably tell by the name of their youtube channel they are pretty big fan’s of Disney. Although they don’t go to Disney that much I really like their vlogs when they do as they usually consist of staying on site within Disney world as well as going on one of the Disney cruises which I’ve always wanted to go on as well. 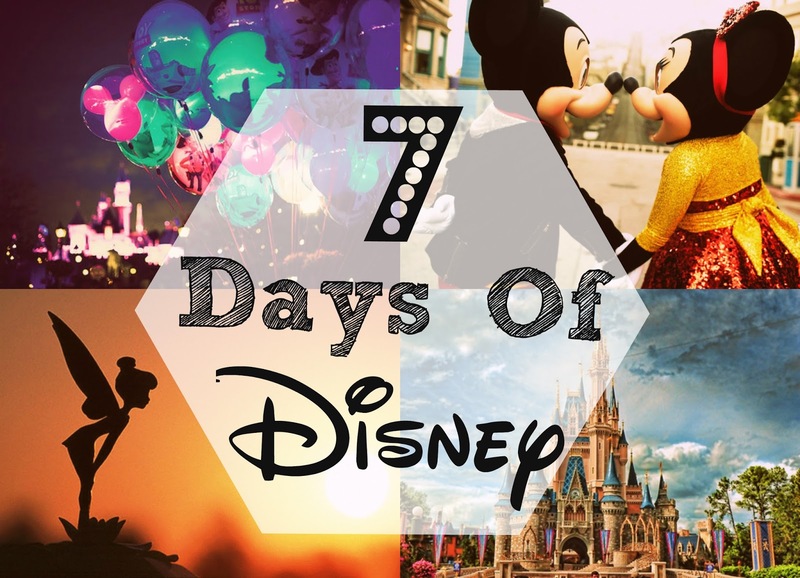 "7 Days of Disney | Day 5 Disney Pins"
"7 Days of Disney | Day 7 – 3 Reasons why I love Disney"